I\'ve tried taking photos of this when I\'ve seen it in the past and my 17mm on my 20D was never wide enough. I guess I need a 15mm! 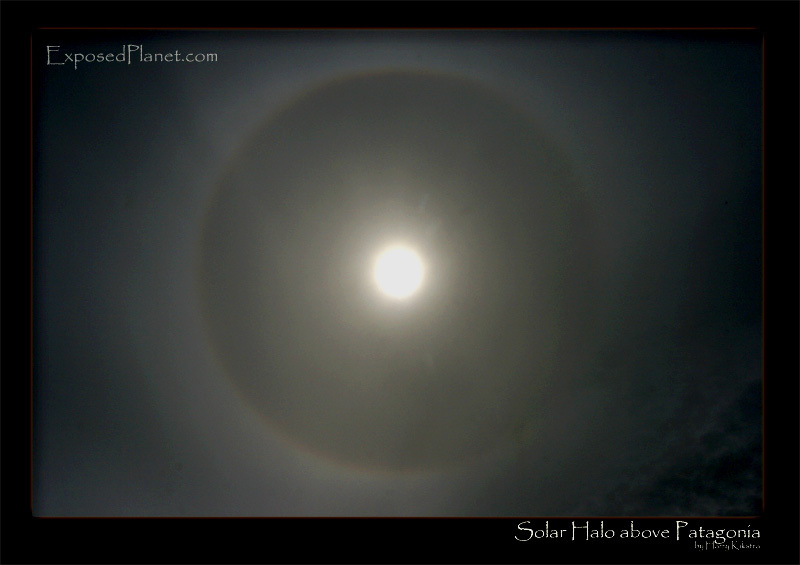 The story behind "Solar Halo, check your skies today!" Actually today this phenomenon should be visible in most of the Northern hemisphere due to an expected receding high cold front causing cristallisation! Due to the different timezones and the turning of the earth, it should be visible everywhere between 15.00 & 16.00 local time, it does not matter if it is cloudy or not. Let me know what you saw, but never look directly in the sun, cover it with your hand or look through a negative (‘mummy, what is a negative?’ ;-).